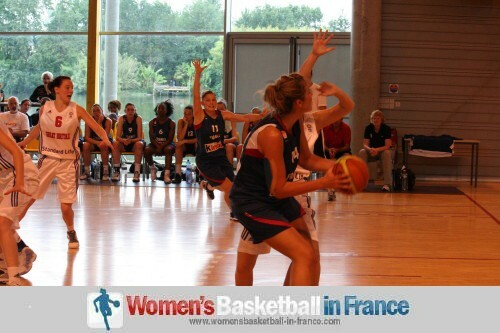 The second international youth basketball game between the U20 teams from France and Great Britain went in favour of the hosts (62-45). 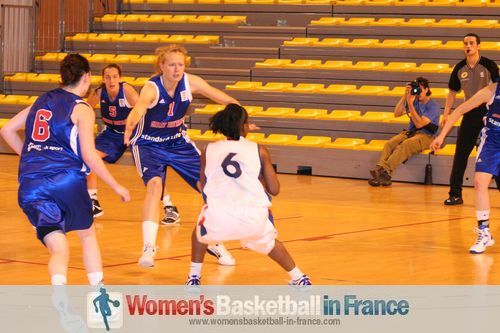 France led from start to finish with Great Britain chasing the match. 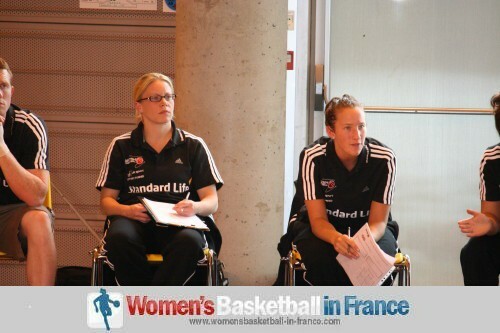 However Great Britain made it more difficult for themselves with a three-minute bad spell in the first quarter that allowed France to open up an 11-point lead (20-9). They were then able to pace themselves the rest of the way. Despite France's big lead the youth basketball match was pleasant to watch with interesting defensive variations from both teams. 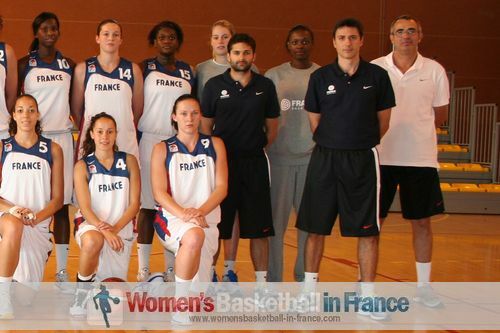 France did not have it all their way with the rebounds. But solid free throwing and excellent clutch shooting always gave them the edge. Great Britain adjusted their game plan from the first day and were able to do a lot more inside. This should leave us with all the ingredients for an exciting conclusion to this international youth basketball series in game 3. 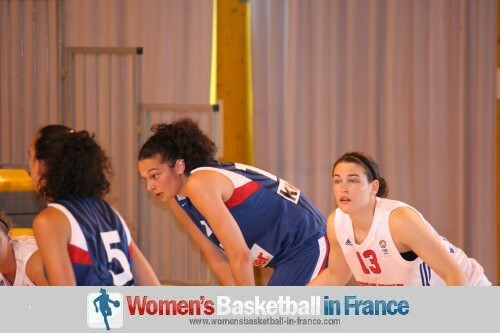 Linda Bousbaa (left) dominated the first couple of minutes of the game while scoring the first 4 points for France. 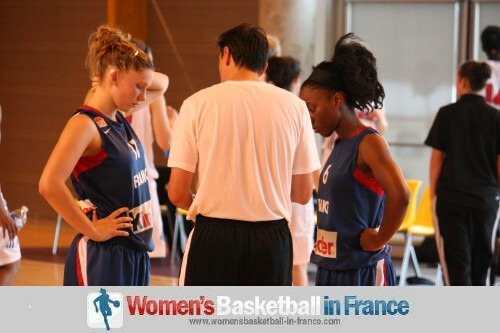 Whitney Miguel was winning the rebounds on the offensive end while Great Britain picked up fouls. 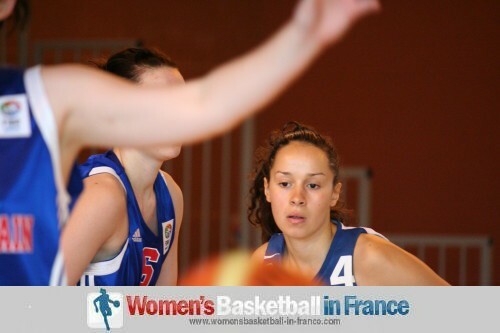 Isabelle Strunc made it (6-0) for France. So Damian Jennings started to turn his bench for his side to open their account through Erin Mc Garrachan. 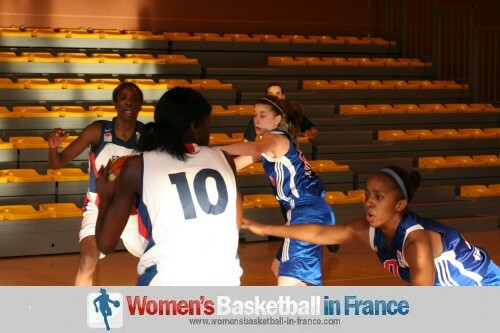 The game became more physical and Great Britain picked up defensive rebounds. However nobody was scoring. 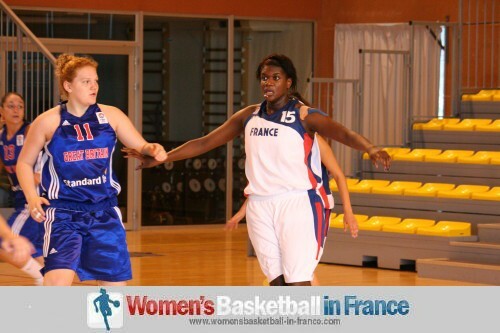 France were still leading (10-7) when Ella Clark was called on a foul on Clémentine Samson beyond the arc which was the break France needed. Samson scored the 3 free throws and quickly followed this up with a buzzer beater trey for France to open up the first significant lead (16-7). 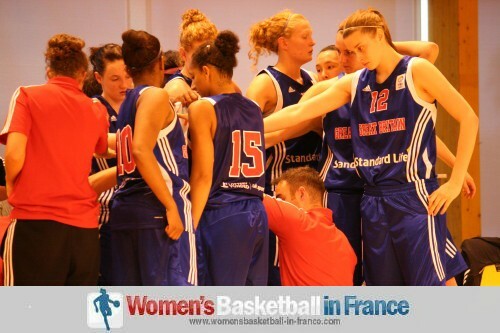 Great Britain's turnovers were punished as France edged the first quarter (20-9). Great Britain started to win the battle of the boards at the start of the second quarter. With Temitope Fagbenle picking up second chance opportunities Great Britain were able to stay in contact midway through the second quarter (25-13). The game became more physical as neither side wanted to give up a rebound. Once again a shot from the land of many put France back on top. Strunc finished the quarter with a buzzer three-pointer (34-21). 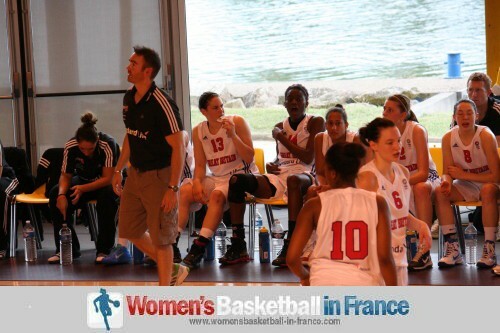 A defensive change at the start of the third quarter slowed France down for a while. But once Kelly Corre started to score there was nothing stopping her (42-22). 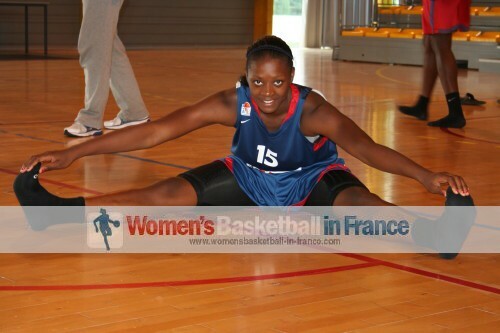 Katrin Chiemeka ended the Great Britain barren spell. This sparked her side in productive offensive moments with a trey by Gemma Bullard and scores from Fagbenle. 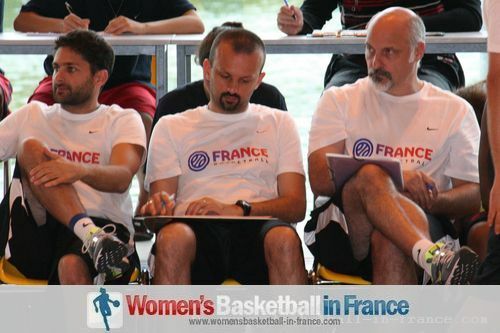 However France's skill in drawing fouls enabled them to get free throws to maintain their advantage (47-31) going into the final minute of the quarter. 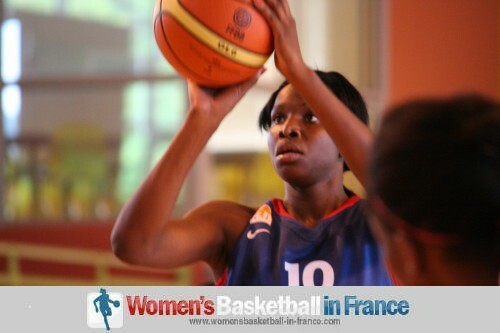 An unnecessary intentional foul by Kathryn Taylor gifted Princesse Goubou 2 free throws. When Jessica Hurd was at the right place on the buzzer to pick up an offensive rebound she scored for the guests to close the quarter (33-49). The final quarter was evenly balanced with both teams playing better collectively. 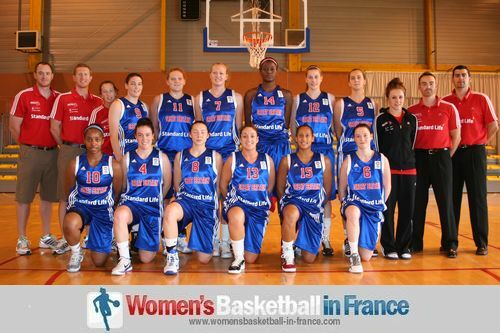 However France's lead was too much and they ran out winners (62-45). 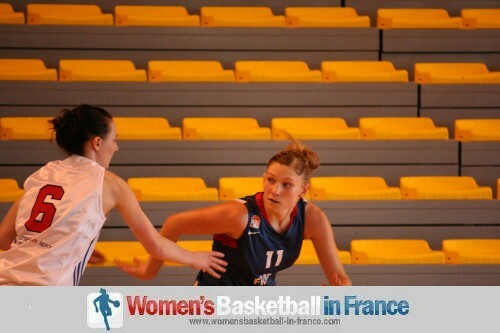 L'équipe de France fait entrer cinq nouvelles joueuses dans l'effectif des 12. Linda Bousbaa domine le début du quart-temps en marquant les premiers 4 points et la passe décisive pour un (6-0). Whitney Miguel, omniprésente dans la raquette, provoque de nombreuses fautes pour les Britaniques. Donc Damian Jennings commence à tourner le banc. Puis l'équipe Britannique court après le score après un premier panier de Erin Mc Garrachan. Le match commence à devenir de plus en plus physique et les Britanniques intensifient leur défence. Mais elles n'arrivent pas à finir au panier. Les Britanniques trainent seulement de 3 points (10-7). Pourtant Ella Clark fait une faute sur Clémentine Samson (photo) sur un tir prime et lui donne 3 lancers. La prochaine attaque, Samson marque un trois points. Ce tournant met la tête sous l'eau aux Britaniques qui terminent le quart avec un retard considérable (20-9). Au début du deuxième quart, les Britanniques s'emparent des rebonds offensifs et Temitope Fagbenle marque les paniers intérieurs. Quand même la France creuse l'écart avec les tirs de loin. La France entre dans le vestiaire avec un shoot au buzzeur de Isabelle Strunc (34-21). Le changement défensif des Britanniques perturbe l'attaque française les laissant sans panier après la mi-temps. Mais Kelly Corre remet son équipe sur les bons rails avec de nombreux drives au panier et des fautes provoquées. Finalement Katrin Chiemeka ressort son équipe de son impasse sur le plan offensif et entraine ses coéquipières avec un tir prime de Gemma Bullard. Fagbenle à l'intérieur réduit l'écart. Mais les Françaises parviennent à garder l'avantage avec une bonne réussite au lancer francs. Une faute anti-sportive et inutile de Taylor n'améliore pas les choses pour la Grande Bretagne. Durant le dernier quart-temps, les deux équipes sont au jeu égale. Samson fait son show pour la France pendant que Jessica Hurd domine la raquette pour les Britanniques. 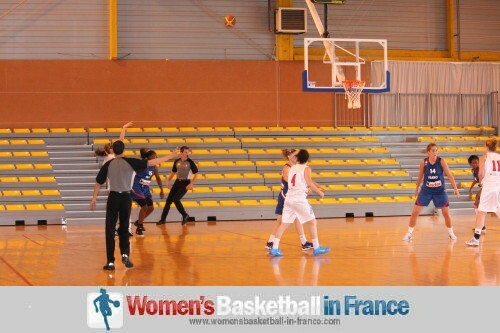 Le jeu, déjà gagné au premier quart pour la France, se termine avec un score (62-45).